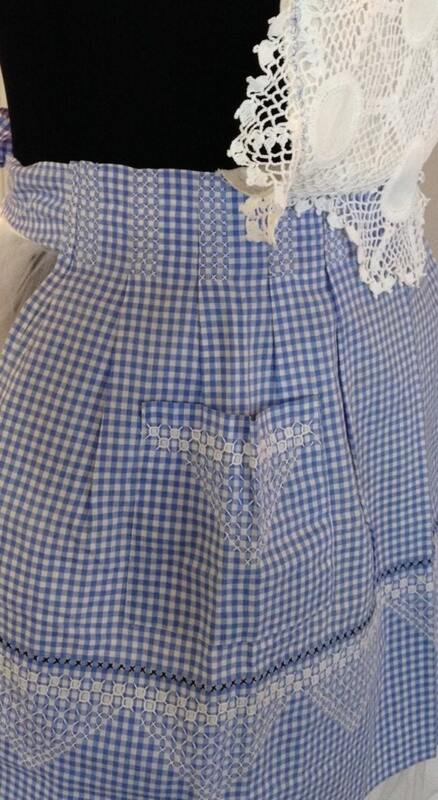 This apron is made by taking a beautiful like new vintage cotton cross stitched blue gingham checked half apron and transforming it into a full apron. 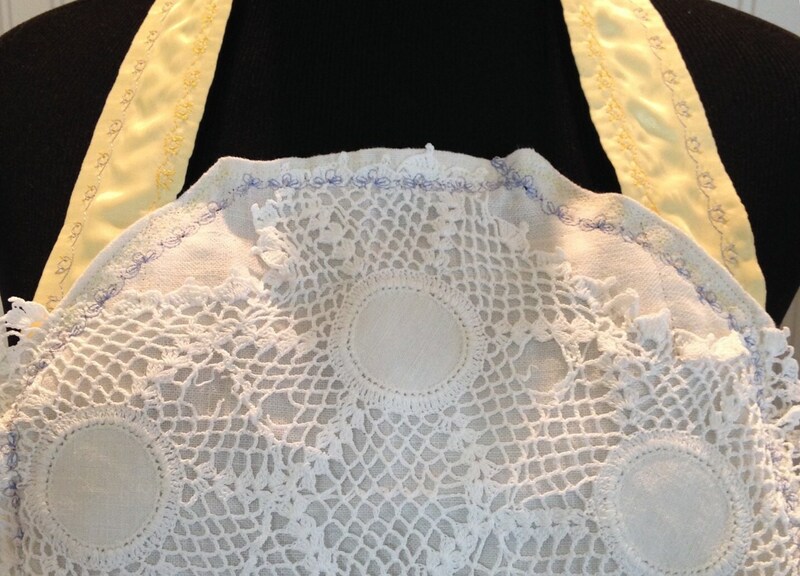 The added crocheted bib and pocket are made using several vintage linens. 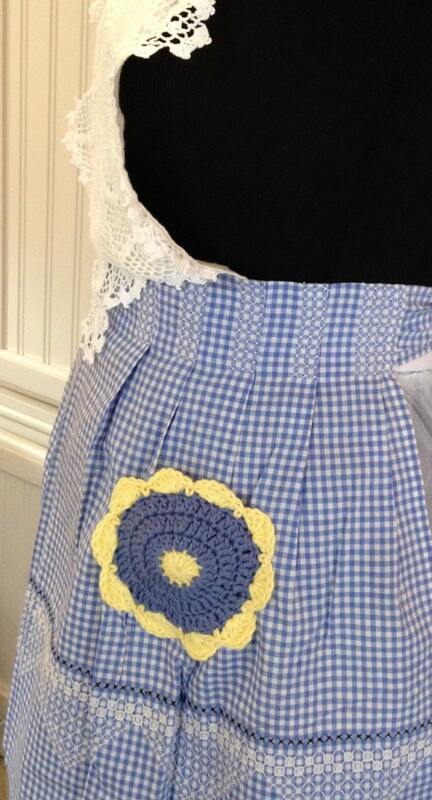 A linen table runner remnant was paired with a crocheted doily and then trimmed with a blue and yellow stitching to make the bib, while a vintage blue and butter yellow crocheted hot pad was used for the round pocket. The neck ties are a soft butter colored satin blanket binding trimmed with the same blue and yellow flower stitching. 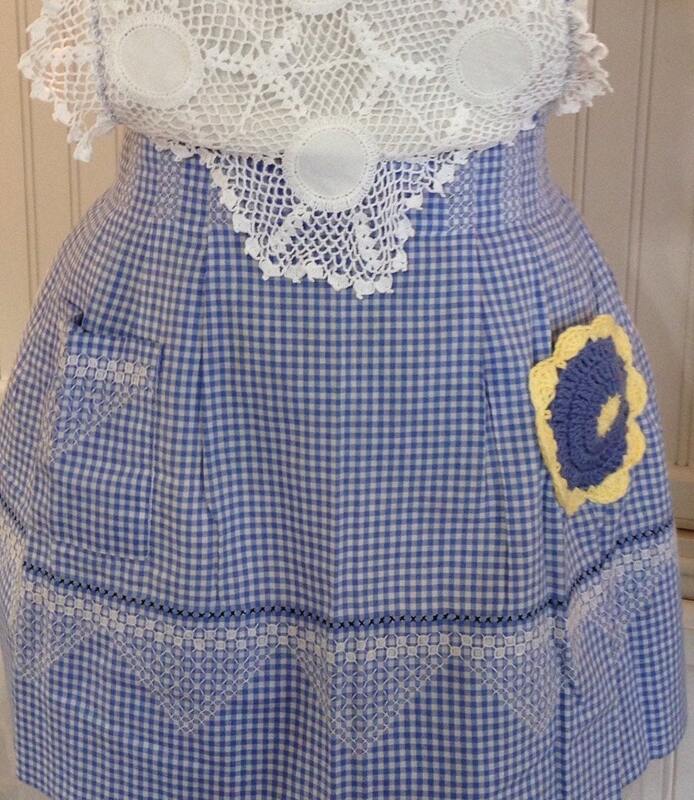 Look closely and you will see that the existing vintage apron skirt is embellished with beautiful cross stitching detail. I preserved the original ties on this apron so the tie in the back with a generous bow even on my XL size waist. 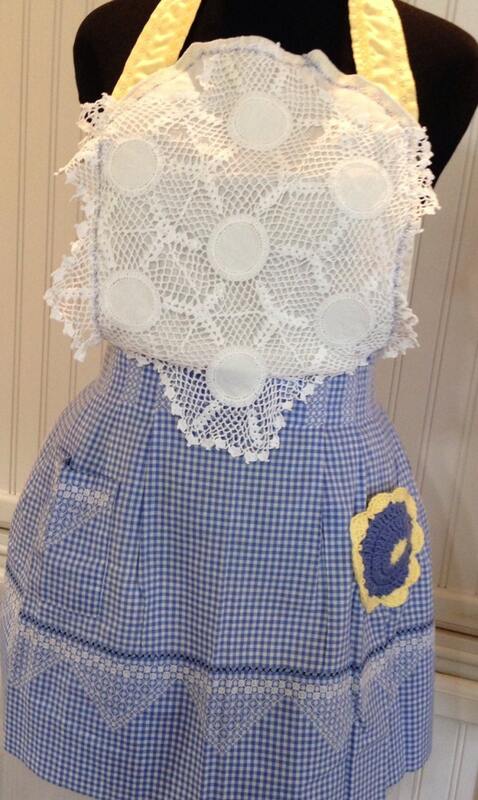 Whether you wear this apron to serve dinner or just brunch, it is fully washable and made to be appreciated.